Today we are showcasing the Happy Stamp set and the Happy die. 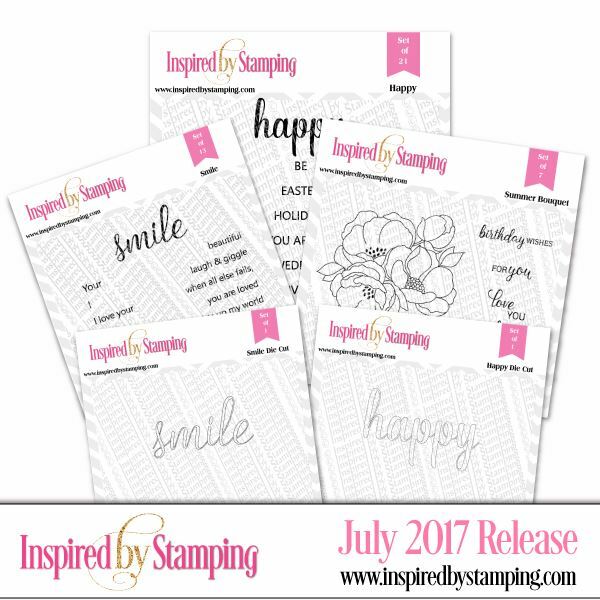 I've made 2 cards to inspire you today with the Happy Stamp set and the Happy die. Today's cards are very simple and easy to make, with no coloring. For my first card, I gold embossed the orchids from the Australian Nature I stamp set on the lower part of the cardstock. I then gold embossed the sentiment "Happy Anniversary" above the orchids. 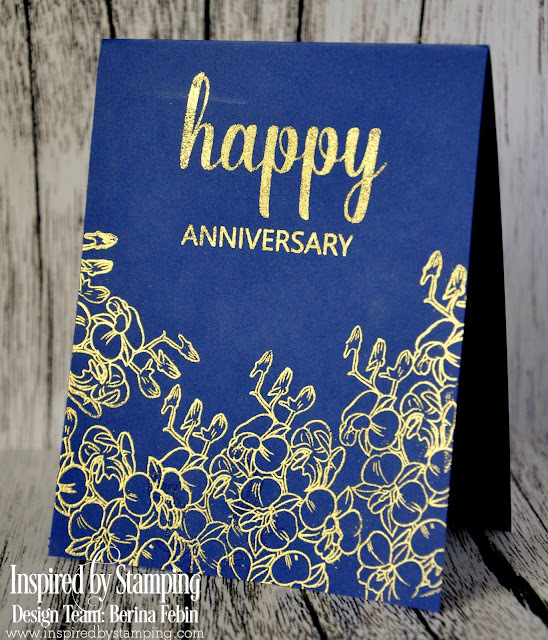 The color combination of navy and gold and the orchids seems perfect for an anniversary card. For my second card, I decided to use a paper from the Inspired By Stamping Vintage Floral Paper pad. 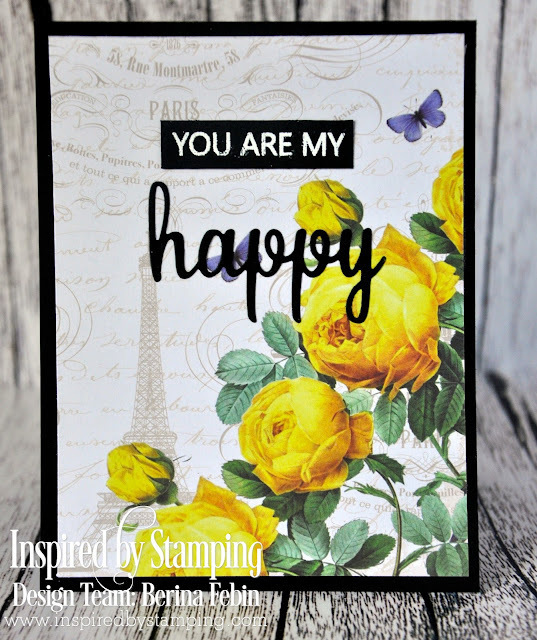 I white embossed the sentiment "You are my" on black cardstock and die cut the "happy" on black cardstock. I adhered them both on the patterned paper. This is a quick and easy to make card. That's all from me for today. 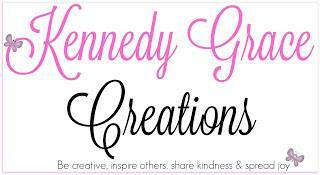 I hope you've enjoyed our blog hop over the 3 days. 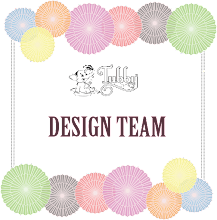 Please do visit my DT friends' blogs to see their beautiful creations. 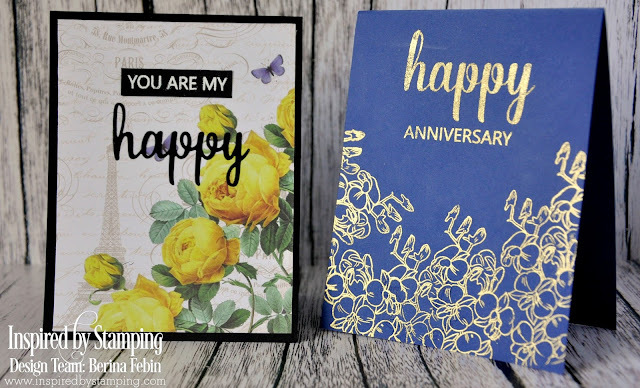 Berina, these cards are lovely--no coloring needed. This is so clever I'm going to do something like this over the weekend. Thanks for this idea and the lovely cards you shared. Lovely cards without any coloring!! ❤️Totally love the cherry blossom one. Lovely cards. I like the gold embossing. Lovely cards Berina, truly eye catching!!! ... and clever use of the new die to showcase in different ways. The blue and rich gold is really great!! What a beautiful pair of cards! Those gold embossed orchids are so eye catching! What lovely cards. I especially love the blue card with the gold embossed orchids. Beautiful cards, I love the blue and gold one - so elegant.